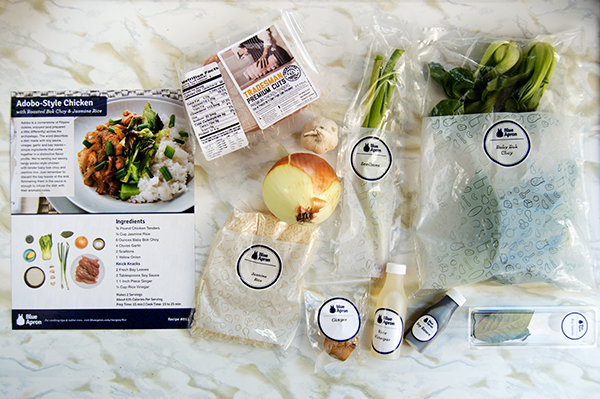 When I started my trial of Blue Apron, I resolved to follow each recipe exactly as it was written. For my second meal of the week, I chose to make the Adobo chicken since I was in the mood for something exotic in flavor. After being somewhat letdown by the triple pork mazemen the night before, I had high hopes for this chicken - even though the most 'exotic' aspect of this dish was the bok choy. 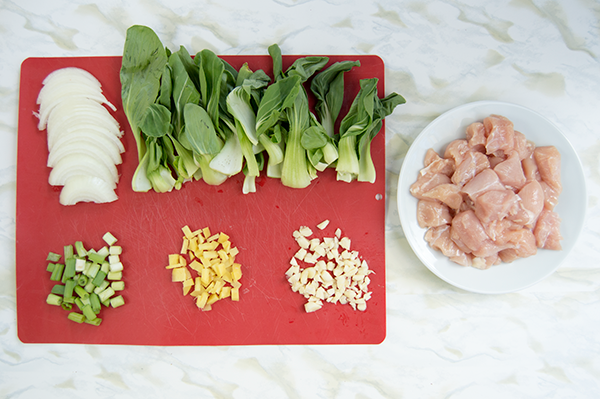 The recipe starts out simply enough, with the preparation of all the ingredients and cooking the rice. 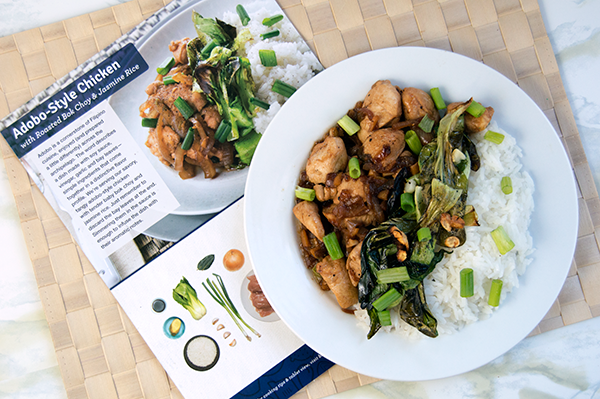 However, little red flags started going off when the recommended oven temperature to roast the bok choy popped up as 475 F, for 8-10 minutes. 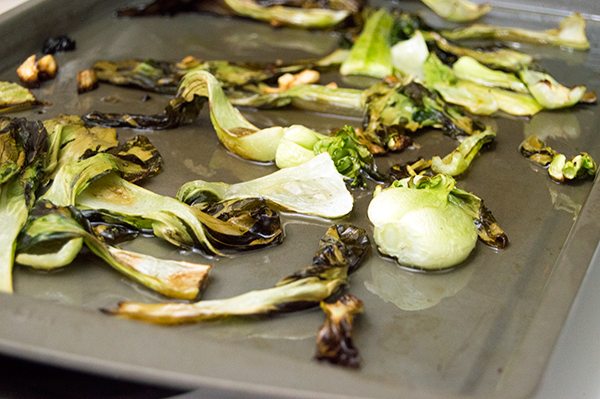 I paused at this step because I knew that cooking boy choy that long would result in overly crispy, more-than-roasted leaves and stems. Still, I trusted the recipe and went for it. Not happy wilted and slightly browned bok choy as I had hoped. 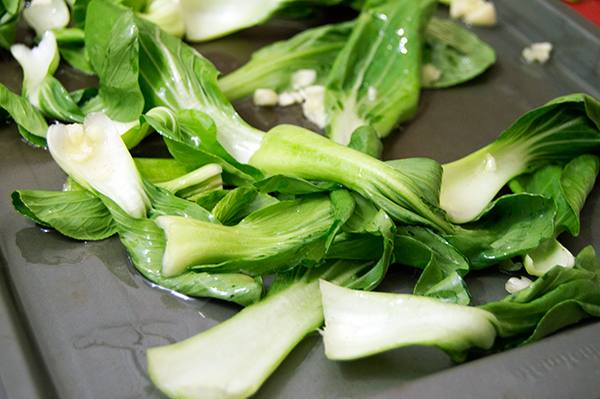 If I were to make this recipe again, I'd reduce the temperature to maybe 425 F to result in tender, just crisp boy choy. 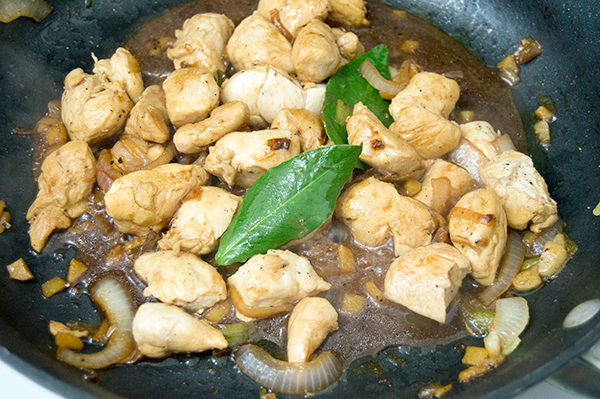 The next step set off red flags too, when the recipe calls to add the raw chicken into the same pan as the onions, ginger, scallions, garlic and bay leaves. 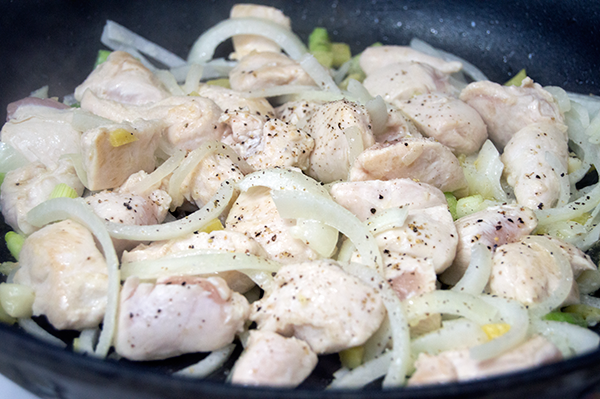 It just felt so wrong to me to not even sear the chicken before adding the onion. In most recipes I've seen, the meat is generally cooked before and removed from the pan prior to cooking the vegetables, or the vegetables are added once the meat has at least been cooking on every side for a few minutes. Perhaps I'm using antiquated cooking techniques, but this method definitely gave me reason to pause - and resulted in unevenly cooked onions. Regardless of how the food was cooked, the vinegar in this recipe was a little overwhelming for me - so much so that I didn't want to eat the leftovers for lunch the next day. 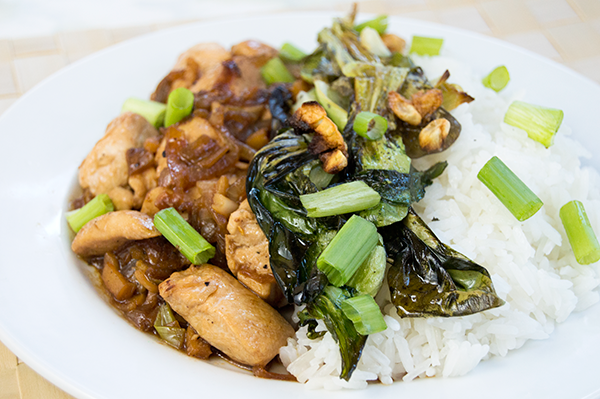 This one was my parents favorite recipe that week, but they too had issues with burning the bok choy and agreed the overall temperatures of the recipe(s) were recommended much higher than the average oven should cook some of the ingredients. Read the recipe on Blue Apron's website.